Earnest H Clutts joined the US Army and served in the Korean War. By 1967, he was serving as a Sergeant First Class, assigned to Company A, 1st Battalion, 16th Infantry in the 1st Infantry Division in the Republic of Vietnam. On 1 April, SFC Clutts was serving as platoon sergeant of the 3rd platoon. In the early morning hours, his unit was in a defensive position east of Bo Tuc, when the 271st Viet Cong Regiment attacked with an intensive mortar barrage. Ignoring flying shrapnel, SFC Clutts moved through the area ensuring that each of his men was in a bunker and all positions were manned. As the mortar attack subsided, the insurgents launched a human wave assault. SFC Clutts exposed himself to the heavy automatic weapons fire that was sweeping the perimeter and directed his unit's fire. When the ammunition supply became critically low, SFC Clutts, with complete disregard for his personal safety, ran through the hostile fire to an ammunition supply point, collected all the ammunition he could carry, and then ran back to the perimeter to distribute it to his men. Heedless of the heavy insurgent fire, he returned time after time to keep his men adequately supplied. Inspired by his example of indomitable courage and resolution of purpose, his men fought with renewed dedication and repelled the Viet Cong attack, killing a large number of the insurgents. For his gallantry in action, SFC Earnest Clutts was awarded the nation's third highest award for valor, the Silver Star. Several months later on Operation Billings, SFC Clutts, still serving as platoon sergeant, and his platoon were engaged by the 271st Viet Cong Regiment again, this time in open terrain. SFC Clutts immediately deployed his men into positions from which they could deliver maximum fire upon the advancing insurgents. 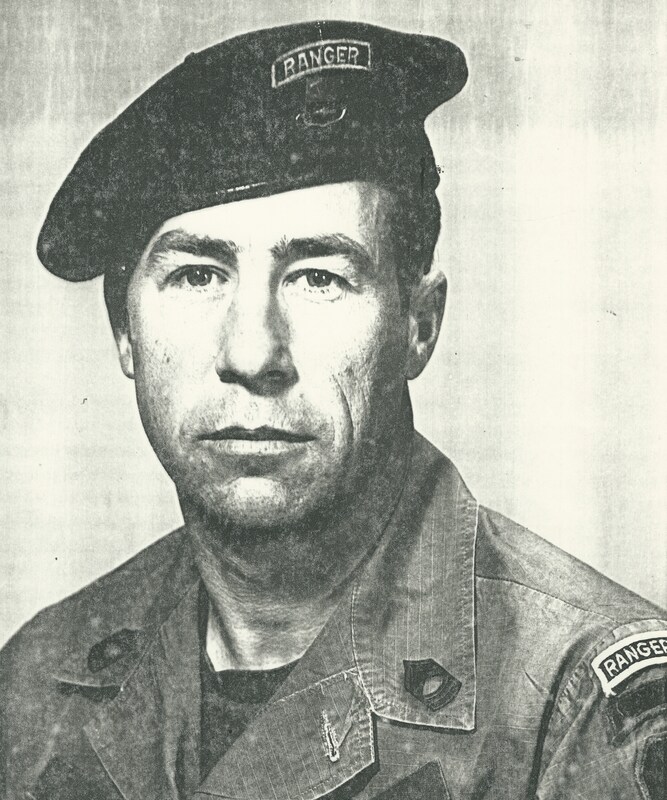 After moving from position to position, SFC Clutts realized that his men must be resupplied with ammunition to repel the repeated Viet Cong assults. During the four hour battle, SFC Clutts made repeated trips across open terrain under heavy enemy small arms and automatic weapons fire to carry ammunition back to his men. Each time, SFC Clutts would carry wounded soldiers to safety, again, across open terrain swept by enemy fire. For his outstanding display of bravery and valor on 17 June 1967, SFC Earnest Clutts was awarded the Bronze Star with V Device for valor. In 1969, SFC Clutts was back in Vietnam, this time as an advisor to the Reconnaissance Company, 46th Regiment, 25th Infantry Division, Army of the Republic of Vietnam. On 23 May, his unit was conducting a search and clear operation east of Can Giouc. When the command group came under intense enemy fire in a dense grove of nipa palm, SFC Clutts was pinned down and physically separated from his counterpart. With complete disregard for his own safety and while within fifteen meters of enemy positions, he moved to his counterpart's location to advise and assist him positioning the soldiers in a perimeter. The enemy element withdrew as the friendly force closed with them, however contact was re-established and SFC Clutts, while under heavy automatic weapons fire, moved through a booby trapped grove of nipa palm, and joined his counterpart. Throughout the five hour battle, SFC Clutts exposed himself to intense enemy fire to assist in medical evacuations and to direct artillery and helicopter gunship strikes. For this action, SFC Earnest CLutts was awarded his second Bronze Star with V Device for valor.